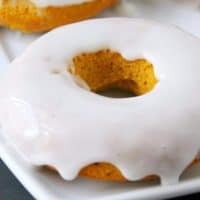 Baked pumpkin doughnuts served warm and smothered with glaze are the perfect Fall recipe for breakfast and dessert alike. One of the best things about Autumn is pumpkin – pumpkin everything. Who doesn’t love pumpkin pie, pumpkin bread, and pumpkin muffins? 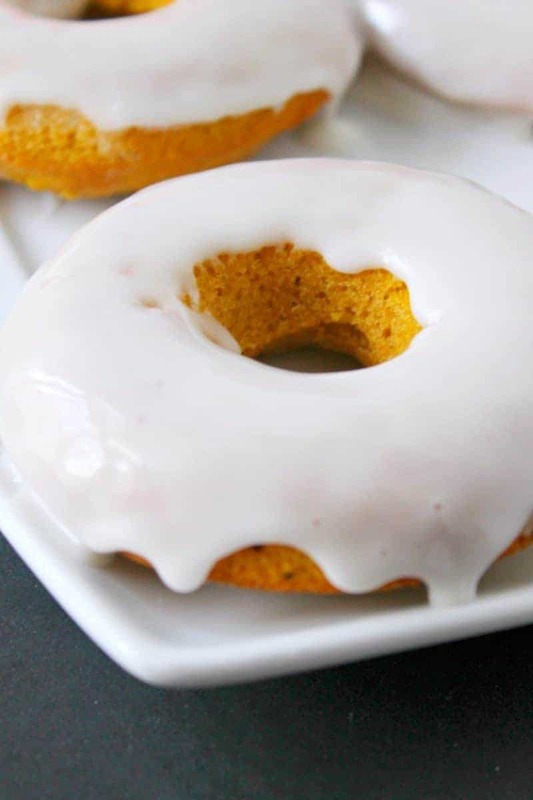 Of course, if you want something more decadent, you can’t go wrong with these delicious baked pumpkin doughnuts. 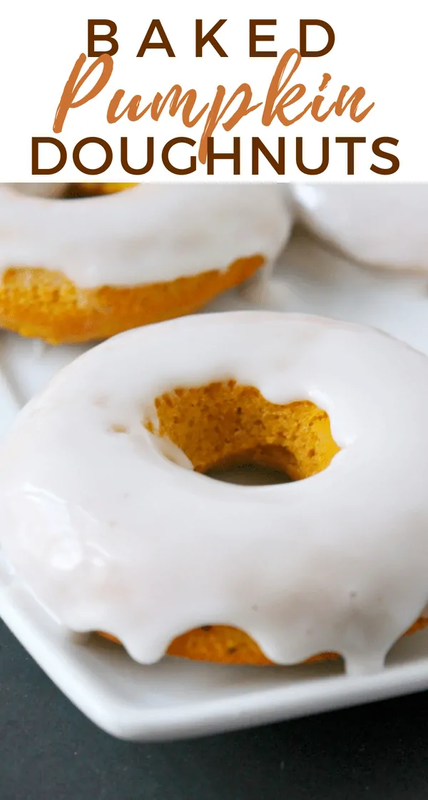 These glazed pumpkin donuts are loaded with the flavors of Fall. Not only do they have the pumpkin, but all those wonderful spices as well. What’s great about these donuts is that you don’t have to stand over a deep fryer, you just pop them in the oven and let them do their thing. That makes them a great recipe to make on Thanksgiving morning when you’re busy with everything else. 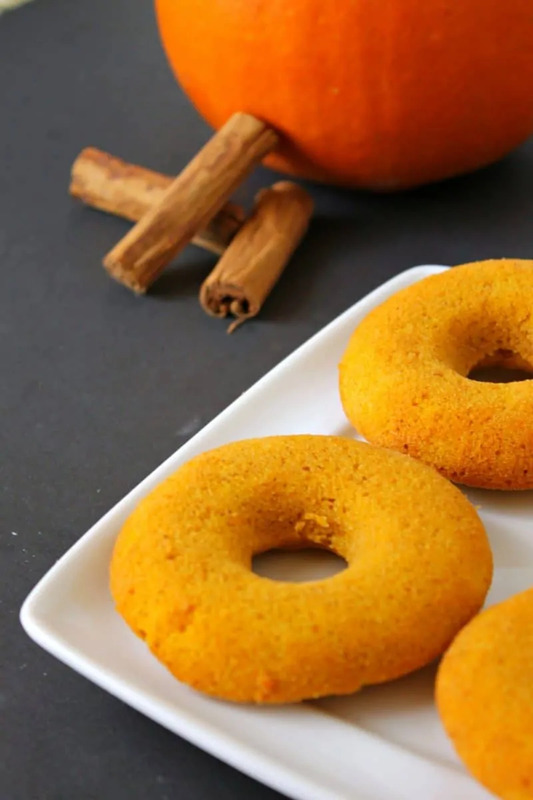 However, these pumpkin doughnuts would be the perfect breakfast treat for any chilly Fall morning. Don't miss our glazed soft apple cookies – another one of our favorite Fall breakfast recipes! 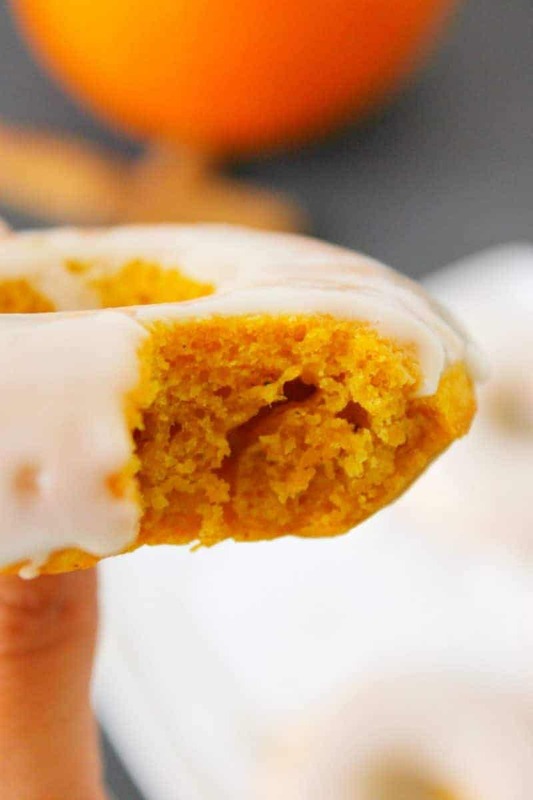 This baked pumpkin doughnut recipe would also be great to make for a Fall bake sale, office party, or potluck. Anytime there’s a Fall event, these donuts will be a hit. And you better believe that these homemade pumpkin doughnuts are better than any fast food donut place. This recipe makes one dozen donuts. If you’re making these for Thanksgiving, you may want to make more than one batch. If you want, you can even make your doughnuts ahead of time and freeze them. Then simply allow them thaw out and add the glaze. This will make it so much easier if you’re preparing food for and serving a lot of people. Preheat oven to 350. 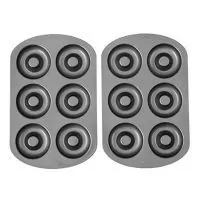 Grease 2 standard donut pans and set aside. In a medium mixing bowl, combine all of the dry ingredients. Set aside. In a large mixing bowl, combine all of the wet ingredients. Add the dry ingredients to the wet ingredients and stir until well combined. Using a spoon, distribute the batter between the greased donut pans, filling each donut mold about 3/4 of the way. Remove from oven. After about a minute, carefully loosen the donuts from the pan and move to a cooling rack. Mix together the glaze ingredients in a small bowl (adding the powdered sugar gradually) and either dip the tops of the doughnuts into it or pour it over them while they are still on the cooling rack to allow the excess drip off. These do look amazing. I need to get a couple of these doughnut pans. These doughnuts are too good to pass by! 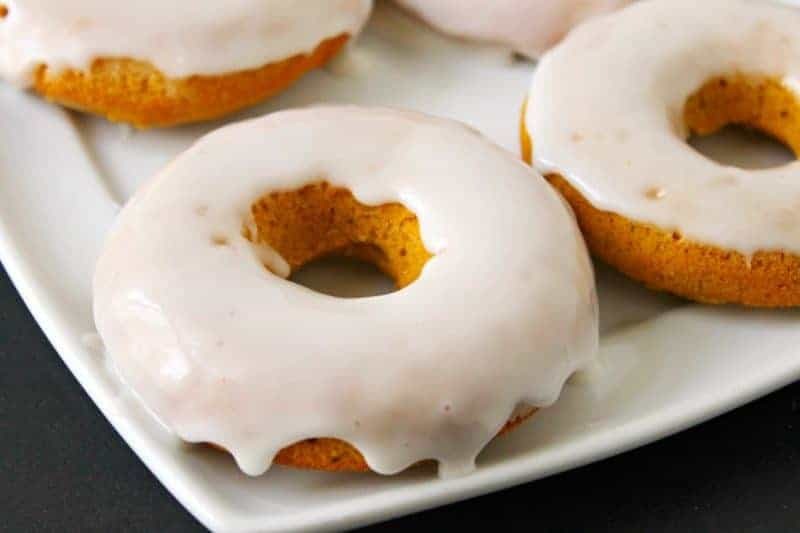 These pumpkin doughnuts looks so delicious and love that they are baked! I’m definitely trying this recipe for the Fall! 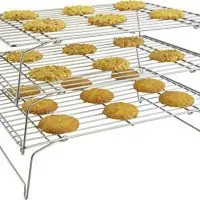 These look so good, and I love that they are baked and not fried. I need some of those pans, too! Oooohhh…. bake these and put them in the freezer? This seems like an awesome treat and I love that idea. 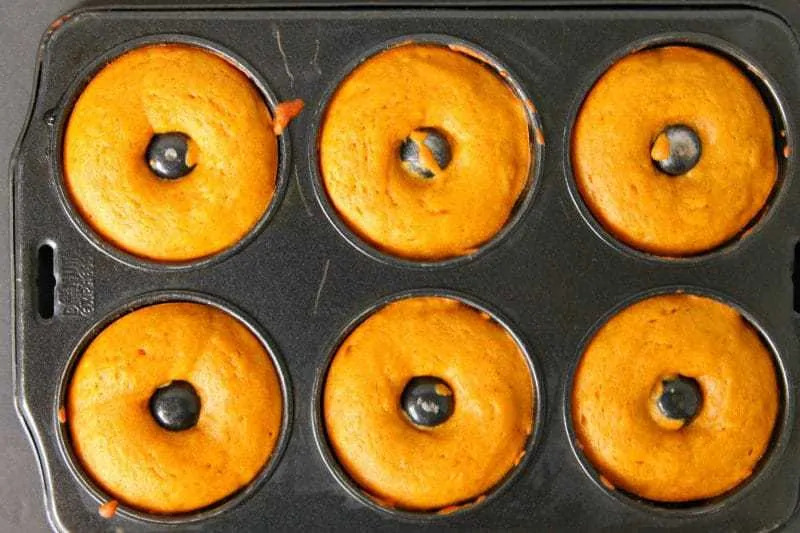 I am going to have to make these delicious looking pumpkin snacks. I love pumpkin anything and can’t to try these! Yum! Get out the pumpkin. These look like a great treat for the fall. What a treat! This just makes me want to go out and buy a donut pan, I have got to try this out, me and pumpkin go spice and mouth loll. Love your recipe and shared. Hi Darlene! I have not tried making these doughnuts with Splenda, sorry! If you do try the recipe with Splenda I would love if you would let us know how it comes out!